KSIS training dates and times are now available for spring 2019. Instructor-led training is available for faculty, academic advisors, and staff at no charge. However, registration through HRIS is required. 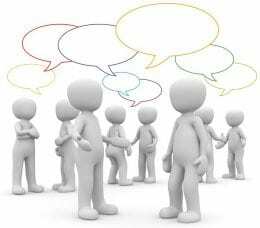 See Using HRIS to register for classes. The K-State Mobile app now includes K-State Olathe, and you can set the app location to the Olathe campus. To change your app location, scroll to the bottom of the screen. 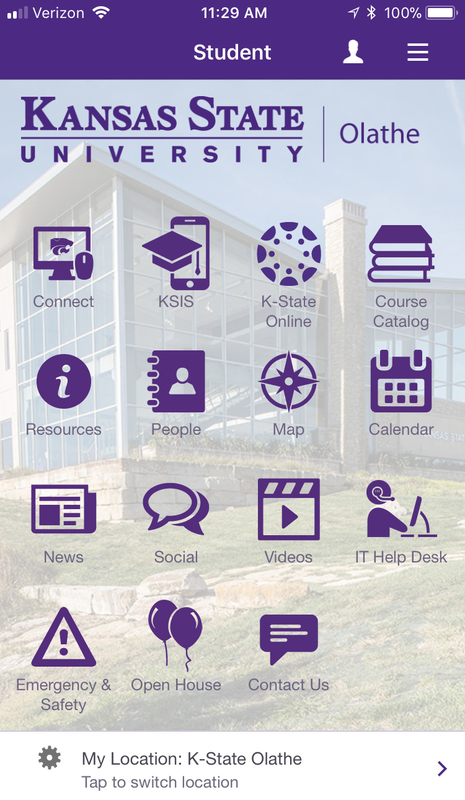 Tap My Location and choose the Manhattan Campus, Polytechnic Campus, or K-State Olathe. 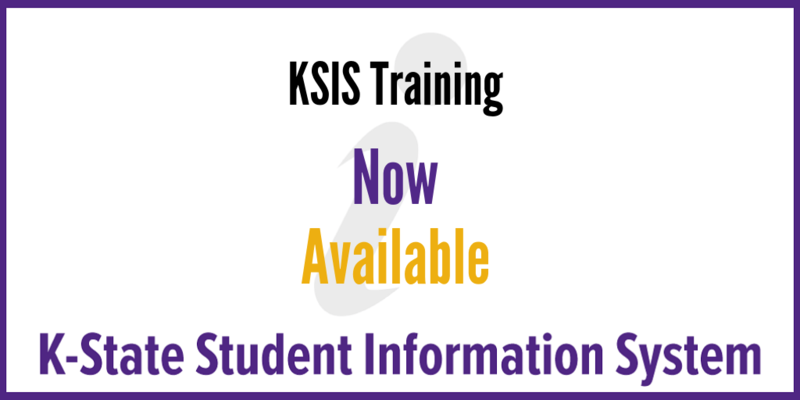 KSIS training dates and times are now available for fall 2017. Instructor-led training is available for faculty, academic advisors, and staff at no charge. However, registration through HRIS is required. See Using HRIS to register for classes. As students arrive at K-State, they need to purchase a permit to park their vehicles on campus. To purchase a parking permit for K-State lots, everyone must use the Parking Services web site. Shuttle buses are also available. For additional questions, visit the Parking Services web page, http://www.k-state.edu/parking/, or contact K-State Parking Services at (785) 532-7275 or parking@ksu.edu.